UCCE has played a key role in providing resources on plant science and community development programs to Humboldt County. Agricultural and horticultural crops have been, and continue to be, a major focus of the farm advisor, who strives to help farmers and horticulturalists solve problems, have continuing educational opportunities, develop new industries, and expand existing ones. In the 1920s, UCCE Humboldt farm advisors assisted the Fruit Growers Association, which represented apple, peach, and berry industries. 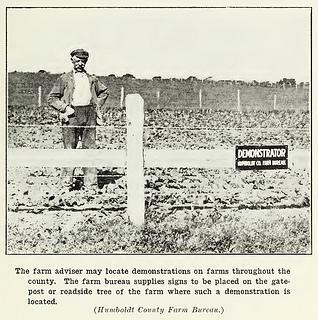 Farm advisors also aided in farm experiments, establishing test plots for carrot fertilization and vegetable production. Research projects, including tomato, turf, asparagus, and potato variety trials, continued through the 1980s. The current UCCE Humboldt Farm and Community Development Advisor, Deborah Giraud, provides information and consultations on pest management, crop production, and business acumen and marketing. She also conducts research projects, such as pests of Easter lilies, which have generated information on new methods and materials of plant production, with the goal of reducing pesticides while producing a quality product. In addition, Giraud assists large farm operations, family-owned farms, and non-commercial food and ornamental producers. One of the Farm and Community Development Advisor’s primary goals is to encourage the sustainability of agriculture by providing new ideas for landowners to supplement fluctuating income. Giraud has held workshops to provide information on the challenges and opportunities of new endeavors on farms and ranches, including agritourism opportunities. Often an innovator in a movement, Giraud received a grant to start a farm-to-school program, which supported an effort to bring locally produced food to schools and which has gained both local and national interest. The program enhances marketing opportunities for small farms while feeding children fresher and more nutritious meals. In addition, Giraud facilitates the transfer of knowledge from campus to county by inviting UC experts to speak at workshops ranging from poultry farming, winemaking, and beer brewing. Giraud has also offered workshops on farm succession and estate planning, QuickBooks for farmers, farm labor, farm worker safety, food safety, marketing, and many more topics depending on the interests and needs of farmers. 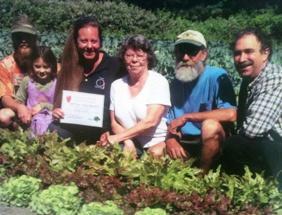 Community development has also been a mainstay of UCCE Humboldt. “Helping People Help Themselves” is a motto that Extension uses often. Since the 1980s, UCCE Humboldt has made concerted efforts to reach out to underserved clientele, and has collaborated on projects with the Hoopa and with Southeast Asian refugee families. In the 1990s, Giraud reached out to the Southeast Asian community to support their desire for gardening opportunities as well as Hmong language classes. UCCE Humboldt continues its goal of community development with the new Federal Recognized Tribe Extension Program (FRTEP), a Native American outreach program that strives to overcome barriers of participation by providing information on agriculture, natural resources, and youth development. In Klamath, Giraud has assisted with a community garden, which was created to increase food production as well as attract youth and family participation. Giraud also gives informational talks to high school students at college and career fairs to encourage them to attend college and to highlight the UC system. In addition, she runs the Master Gardener program, which started in 1988 and trains volunteers to educate the community on a variety of home horticulture topics. 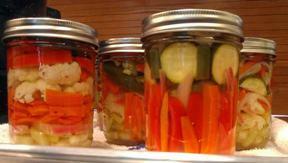 In 2012, the Master Food Preserver program was started when it became apparent that there was significant interest in preserving food. Like the Master Gardener program, the Master Food Preserver program is a “train the trainer” course, where trained volunteers teach the community safe and effective methods of preserving food. 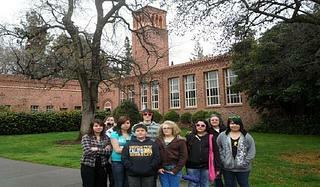 The impacts of UCCE Humboldt agriculture and community development programs have been numerous. UCCE Humboldt has generated many ideas for improving the likelihood of sustainable food production in the community and has given producers the tools to make improvements in their practices and learn new skills for new endeavors.